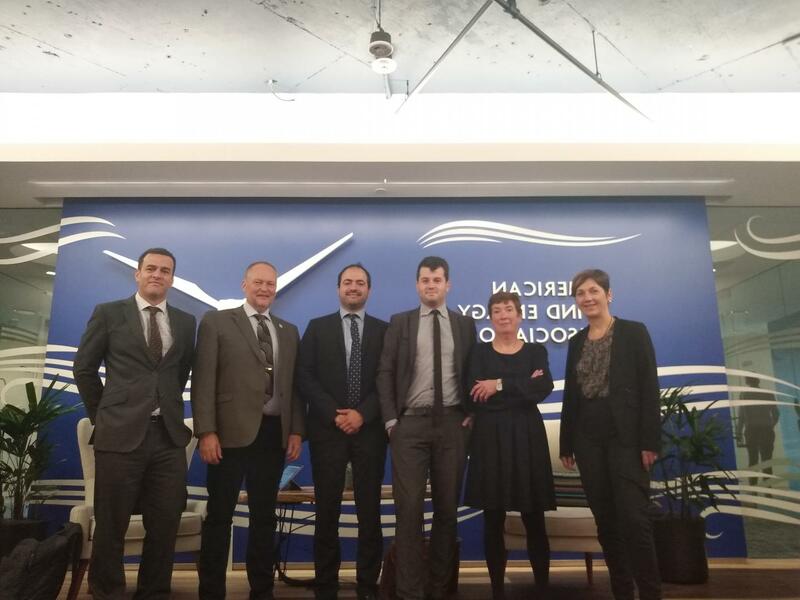 Within the framework of ELBE project, the clusters of the partnership organized an exploratory trip where they met the main agents responsible for the strategy and deployment of the emerging marine energies in the United States and Canada. During the week from 1st to 5th October, the Basque Energy Cluster led an exploratory mission to the United States and Canada along with the rest of the members of the ELBE alliance: AREG (Scotland), De Blauwe Cluster (Belgium), Offshoreväst (Sweden) and Offshore Denmark (Denmark). The trip set out to discover the state of the three emerging marine energies (floating wind power, wave power and current power) in the north of the American continent. For the first two days in Washington DC, the entourage had the opportunity to meet representatives of the Bureau of Ocean Energy Management, responsible for the leasing processes of the offshore areas for wind power in the United States; the Department of Energy, which informed the ELBE consortium about the most relevant aspects of the current American R&D programmes in relation to offshore wind power and ocean energy; and with the American Wind Energy Association, in order to review the current status and the promising future of the marine wind power sector in the United States. The entourage split up into two groups for the rest of the week. The first group travelled to the west coast of the United States, where it had the opportunity to discover the state and expectations of floating wind power in California, through Principle Power, as well as theRedwood Coast Energy Authority, which collaborate in the development of a floating farm of 100-150 MW on the Californian coasts. It later visited Seattle to discover the plans for the development of a wave energy test site first hand through the Pacific Marine Energy Center, an alliance between the University of Washington, Oregon State University and the University of Alaska Fairbanks, which has the backing of 35 million dollars from the federal government. The second group travelled to Canada, more specifically to Halifax, in the province of Nova Scotia, epicentre of world development of current energy, where meetings were held with Marine Renewables Canada, Offshore Energy Research in Nova Scotia, Nova Scotia Department of Energy, Nova Scotia Business Inc., and Fundy Ocean Research Center for Energy (FORCE), the country's pioneering centre in this field, with five areas prepared to host converters of up to 5 MW, which have now been reserved for the forthcoming years. The trip to Canada ended in Ottawa, where Natural Resources Canada presented the Canadian marine renewable energies support ecosystem to the consortium, with leading initiatives, such as the Emerging Renewable Power Program, supporting demonstration projects, or the Clean Growth Hub, unique access window to the Canadian Government for clean technology companies. To sum up, it was an interesting trip in which many contacts and potential collaboration initiatives for European companies were identified. Over the next few weeks, members will receive a report including the main conclusions of the exploratory mission and the presentations that took place in the different sessions and meetings.